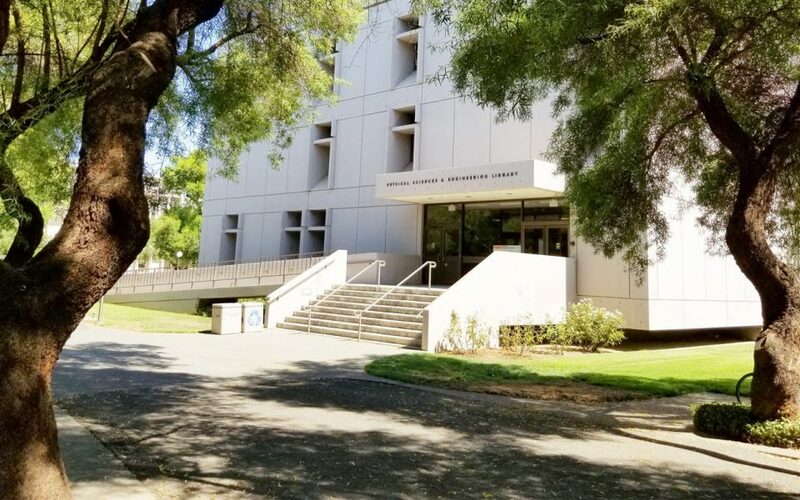 Members of the UC Davis community are invited to attend open campus meetings to learn about a project coming soon to the Physical Sciences and Engineering Library. Friday, January 26 from 9:30 a.m. to 10:30 a.m.
Monday, January 29 from 3 p.m. to 4 p.m. Both meetings will be held in the Library Instruction Room, which is located on the second floor of the Peter J. Shields Library at UC Davis. This campus-directed project, which will begin winter 2018, will convert the second and third floors of the PSEL to office and collaboration space for the UC Davis Center for Quantum Mathematics and Physics. The first floor and lower level of PSEL will remain library space. At the same time, the entire building will undergo a seismic retrofit, accessibility improvements and renovation of its fire suppression system. The first phase of this project, which is focused on the collection shift, is expected to last from winter 2018 through September 2018. The renovation phase of this project is expected to take place from October 2018 through December 2019. The upcoming meetings will be geared toward the users of PSEL collections and spaces, and is intended to inform and address questions about the first phase of this project-the collection shift. For more information on this project, visit https://www.library.ucdavis.edu/psel-qmap/. For questions or comments, please email libspaceplanning@ucdavis.edu.